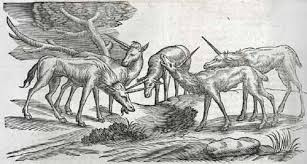 addition to being the name of the mythical animal with a single long horn protruding from its forehead, unicorn has come to mean within the venture capital industry a privately-held start-up company whose valuation exceeds one billion dollars. These valuations are not based on the amount of actual sales, which are a bare fraction of that amount, if at all, but rather some combination of hard data and different degrees of wishful thinking about the future prospects of the company. Fortune magazine estimated as of early 2015 that were over 80 unicorns, and Institutional Investor magazine recently claimed that there are now over 120 such companies, the dearest of which is Uber, valued at between $50- $60 billion dollars. How IP affects the valuations of unicorns is uncertain. While the role of IP as part of such valuations will vary from company to company, it is this blogger's anecdotal impression that, overall, factors such as network effects and scaling are much more central than the value of the IP to a company’s unicorn status. This observation should not come as a surprise. All that readers need to do is to recall the huge valuations given a few years ago for patent portfolios held by companies such as Motorola Mobility and Kodak. A fortiori, given how we now know that these valuations were wildly excessive on the high side, any expectation that IP will be correctly priced in valuing a privately-held start-up is simply unrealistic. Beyond that, as far as unicorns are concerned, there seems to be a disconnect between the value of a company’s IP and its valuation. Unicorns may be nourished from various source of value, but IP does not seem to be one of them. Indeed, the recent piece that appeared in Institutional Investor magazine expressed concern that the obsession with achieving a high valuation will work to the detriment of such a start-up company, because it may mean that senior management is spending too much time promoting the notional valuation of the company at the expense of the day-by-day running of the business. There was even a suggestion that unicorns are the most recent manifestation of the "subprime" phenomenon. Depending upon the industry involved, one wonders whether closer attention to the IP position of unicorns might prove useful in giving a more accurate picture of their value. After all, valuations do not take the place of receipt of cold cash or its equivalent, which is the ultimate name of the game. Here, a unicorn valuation may actually work to the detriment of the company. This was pointed out in a recent Bloomberg interview with Alan Patricof, a well-known U.S. investor. He noted that since the IPO market remains tepid, a unicorn that wishes to cash out at this time will most likely have to find an acquisition partner. However, the larger a unicorn's valuation is, the more difficult it will be for the acquirer to come up with the necessary funding to consummate the transaction. As a result, more may paradoxically be less. Can it be that a unicorn may wait, hoping for the IPO market to awaken, or be forced to settle for an amount less than its valuation warrants? Whether the mythological unicorn has anything to offer its current manifestation in this respect remains to be seen. In California, there are basically at least two ways to create a law. The first is the traditional route through the legislature with the Governor’s signature. The second is through the initiative process. Essentially, an initiative proposal with a certain number of voter signatures can be added to a ballot that the electorate will vote on—think direct democracy. This process allows a bypass around the legislature and the Governor, and allows voters to, for the most part, enact laws. According to the Sacramento Bee, the California Drug Price Relief Act has garnered enough signatures to be placed on the November ballot. The Act will require that the State (so eventually retirees, prisoners, low income folks etc) receive the same price for pharmaceuticals that will be paid by the U.S. Department of Veterans Affairs. The article reports that proponents of the Act state that this will lead to significantly lower prices for pharmaceuticals and cost savings for the state government. The pharmaceutical industry has raised a significant amount of money to oppose the measure. However, even without a lot of money to support it, I think the pharmaceutical industry will lose on this. Given the level of current poor press about pharmaceutical pricing from the recent concern about generic pricing to the pricing for Myriad’s breast cancer screening test (here), I don’t think there is much public sympathy for the pharmaceutical industry right now. Also, an argument that "we will raise the prices on veterans" is--not surprisingly--going to go over very badly. Interestingly, the article notes that there is a chance that the pharmaceutical industry could reach a deal with the proponents of the initiative to withdraw the initiative for concessions on a negotiated bill at the state legislature. That may be the pharmaceutical industry’s best option at this point. Apple and Ericsson have been engaged in a number of patent infringement suits over the past few years. Finally, on Monday Ericsson announced that it had reached a settlement with Apple under which Apple would be granted to all of Ericsson's standard-essential patents, as well as to certain other patent rights (which are not named). We've often reported on these patents on this blog and my fellow contributor Keith Mallinson has studied them extensively and their effect on competition. The Apple settlement will apparently boost Ericsson's revenue from licensing of intellectual property rights in 2015 to SEK 13-14 b (around USD 1.5 billion) compared to 2014's revenue of SEK 9.9 bn reported here. It's not surprising that Ericsson's share price jumped yesterday from Friday's closing price of USD 9.12 to USD 9.62 at 09.50 Eastern time after announcement and closed today (Tuesday) at USD 9.56. Apple's price did not change much during the same period. It's clear that licensing revenue is becoming a significant contributor to Ericsson's bottom line. In 2014 operating income was reported to be SEK 11.1 Bn, which included a payment from Samsung for an IPR licence of SEK 2.1 Bn. The amount paid by Apple remains confidential and will include an ongoing royalty (as does the Samsung agreement) and so there will be further contributions to Ericsson's bottom line over the next few years. The European Commission, among other organisations, have been concerned that the smartphone patent wars damage competition, as reported in the Financial Times. The Apple/Ericsson agreement show how patent can work - Ericsson receive additional revenue for their work on the development of telecommunication standards and Apple pay for access to this technology. 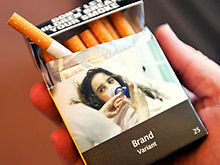 The issue of plain packaging for tobacco is a controversial one, which not only has the obvious public health issues, but an additional dimension relating to the value of intellectual property rights. If a company cannot use its trade mark to promote its product, then what value does that brand actually have? It's a discussion that has blown up several times at the World Trade Organisation Council and the WIPO magazine reported on the dismissal by the High Court of Australia of the challenge by several tobacco companies to Australia's law introduced in 2012.
consequential effect of substantially diminishing the value of PM Asia's investments in Australia". Essentially the argument is that by requiring companies to use plain packages in Australia, the value of the trade mark is substantially diminished, although it's unlikely to be "billions" as a report in the popular UK newspaper, the Daily Mail, reported. Australis Government's Attorney General has an informative website about the case setting out the government's case here. The claim was dismissed on 17 December 2015 on procedural grounds. 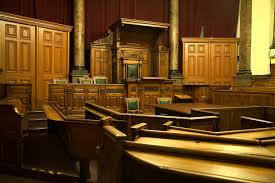 The Court of Arbitration concluded apparently that it did not have jurisdiction to hear the case. The full decision has not yet appeared on the website as it is apparently being redacted to remove confidential information. Philip Morris predictably issued a press release noting that the case was dismissed on procedural grounds and noted that there was nothing ... that address let alone validates plain packing in Australia or elsewhere". Other challenges to Australia's law are still ongoing. Ukraine has challenged the law at the World Trade Organisation, but that dispute has been suspended to try and reach a mutually acceptable solution. The decision to dismiss Philip Morris' case against Australia may have been done on procedural grounds - and it will be interesting to read the decision when it is published (can anyone send us a copy? ), but already other countries are looking at compelling plain packaging for tobacco products and are apparently encouraged by the decision. Which brings us back to the fundamental question: what rights do IP holders actually have if they can no longer use their registered trade marks on their products. Is this a destruction of "brand value" by government action, which could and should trigger compensation claims? As a non-smoker, this blogger is more than happy with the decline of smoking. As a trade mark lawyer and IP consultant he is concerned about the implications of the decision. It's established law in many countries that a government may only take private property into public use if a compensation is paid ("eminent domain" in the US; "compulsory purchase" in the UK and Australia; "Enteignung" in Germany). The existing laws are generally based on the idea of expropriating physical property - can they (or should they?) be adapted to take into account government restrictions on the use of a registered trade mark. IP Finance is delighted to publish the following post by Teemu Alexander Puutio, an expert in the analysis and valuation of intellectual property rights and an active researcher of intellectual property rights regimes for private consulting companies and organizations such as the United Nations. respective counsel. Settlements are widely accepted as one of the most effective ways of curbing private and public costs while keeping innovation and consumer protection close to desired levels. As was recently noted in this blog, the financial flows in some of these settlements have been taking such peculiar turns that they have roused the interest of courts, scholars and even senators, including Democratic Presidential candidate, Bernie Sanders. Based on the latest figures of the U.S. Federal Trade Commission (FTC), each year since 2006 has seen between 10–40 final settlements in which the patent holder has agreed to pay the potential infringer, a marked departure from the usual state of affairs. The FTC notes that in FY 2013, these ‘pay-for-delay’ settlements involved 21 pharmaceutical products accounting for $4.3 billion in annual U.S. sales. Many argue that these sales figures include a significant amount attributed to the injury suffered by the consumer, which already in 2010 the FTC estimated to be $3.5 billion per year. With figures such as these being thrown about, it is no surprise that reverse payment settlements are getting their fair share of attention. In 2013, the United States Supreme Court, in its decision in the case of FTC v. Actavis, laid down the ground rules for applying antitrust scrutiny to reverse payment settlements. Stating that “[this] form of settlement is unusual, and there is reason for concern that such settlements tend to have significant adverse effects on competition”, it ruled that reverse payment settlements are not immune from antitrust considerations, even if the effect of the settlement would be limited to the ‘scope of the patent’, as previously held by lower courts. The Actavis ruling also made it clear that the potential unlawfulness of reverse payment settlements is to be assessed in line with the rule of reason approach, with particular attention given to the size and justifications offered for the payment involved. Federal judge Judge William Walls, in the case of In re Lamtical, reasoned along similar lines, noting that the “Supreme Court made clear its intent to give patent litigants latitude to settle without triggering the antitrust scrutiny[…]” in cases where no cash payment is involved. According to those amenable to the position of Judges Smith and Walls, patent term splits, side deals on co-promotion and so-called ‘no-authorized-generic’ agreements, would all be immune from antitrust scrutiny under the Actavis framework. Indeed, by analogy to other areas of law, one can reasonably argue that the courts will ultimately find themselves coalescing around a broader concept of value along the lines that Court of Appeals Judge Richard Posner alluded to in the case of Asahi Glass Co. v. Pentech Pharms, where he noted that every settlement by default incorporates ‘compensation’ within the more comprehensive sense of the term. While it is likely that courts will continue to hold divergent views on the forms of payments that trigger antitrust scrutiny, there appears to be wide-spread agreement that even a sizeable payment can be justified. Justifications for such a payment will include covering litigation costs and other commercial arrangements, such as holding inventory or supplying active compounds.It is the view of this guestblogger that many post-Actavis ruminations by lower federal courts have focused too heavily on the form and size of payments at the cost of addressing more meaningful questions, most notably the anti- and pro-competitiveness of the reverse payment settlements in question. In particular, what the post-Actavis lawscape is missing is a solid framework for analyzing the dynamic effects of the transfers involved. Taking both R&D capacities and expenditures, as well as dynamic considerations into account, any alteration of a monopoly situation could in theory be pro-competitive; even when the other side of the duopoly would not enter the market covered by the patent during the patent term. It would seem essential to move beyond considerations of size and static market concerns and nudge the rule of reason analysis towards assessing the potentially pro-competitive uses of the financial valuable transfers and bolstering the generic manufacturer’s ability to engage in productive R&D with profits that would have otherwise been retained by the original monopolist. Also, it will be interesting to see whether courts use their discretion more broadly and consider the possibility of ‘correcting’ unlawful settlements, e.g., through mandatory expenditures on R&D or FRAND licensing. Perhaps some of our readers, as well as others, are currently involved in cases that will eventually help the courts further clarify the analytical framework of reverse payment settlements in the context of the intersection of patent law and competition law. This guest blogger certainly hopes so." Start-up guru and Lean Launchpad developer Steve Blank has published a fascinating set of four blog posts on Innovation Outposts with co-author Evangelos Simoudis, venture capitalist. In the first post, the authors discuss a history of corporations and their response to technological change. The post notes how corporations became very good at development and have spent less time on research. Essentially, corporations were unable to keep up with innovation occurring outside their specific development field. In part, this was because of the number of scientists and entrepreneurs moving to start-ups because of the opportunity to do cutting edge work—and this was helped along by the availability of venture capital. Because of this dynamic, corporations have needed to monitor (“sense”) and “respond” to the development of new technologies that may impact their existing lines of business, particularly in an “innovation cluster,” such as Silicon Valley and Boston. The second post describes innovation outposts. It provides several examples of innovation outposts and discusses the functions of those outposts: primarily to “sense” or monitor new technologies and second, to “respond,” such as by acquiring technology or partnering with companies with attractive technology. The authors note that there is a danger that most innovation outposts will become innovation theater—essentially very good at sensing, but not at responding. To address the danger, the authors, in the third post, provide six questions that should be considered at the C-Level. And, the authors emphasize that those questions must be considered at that senior management level and not at the corporate R&D level. The questions provide focus for the corporation and its goals for the innovation cluster. Finally, the last post provides the nuts and bolts for how to develop an innovation outpost, including having the right staffing and “corporate buy-in for productization.” The authors plan to write a book based on the subject of the posts. It would be interesting to see a complimentary discussion of the role of intellectual property and the intellectual property lawyer. We eagerly await publication of their book! Google’s Patent Purchase Program: What Did We Learn? Recently, this blog discussed Google’s Patent Purchase Program (Program), here. The Program was designed to help Google get in front of the patent troll problem by purchasing patents that could be acquired by patent trolls and subsequently used to “hold up” practicing entities. Tam Harbert has published an article in the IEEE Spectrum titled, “Google Tries to Keep Patents Out of the Hands of Trolls.” The article reports on the results of the Program. Notably, the article states: “Internet Giant Buys 28% of the Patents Offered During Its Patent Purchase Experiment.” The median price for a patent was $150,000. The lowest price Google paid was $3,000 and the highest price was $250,000. 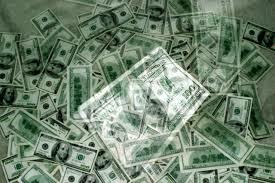 Interestingly, the highest submission offer was $3.5 billion and 47 percent of the submission offers were below $100,000. The article notes that even though the Program was only available for three weeks “a few thousand” patents were submitted for consideration. Around 28% of a few thousand patents is a significant number of patents. It is unclear how many patents were purchased. The article also notes that the value of the patents in this field are likely significantly less because of the U.S. Supreme Court’s decision in Alice. As the article hints, a lesson from the experiment may be that we (of course) need a real marketplace for patents (with “less friction”). Even with the short notice for the program as well as a narrow time frame to submit, there were many willing participants. Moreover, a substantial number of the submissions were from individual inventors—about 25%. Interestingly, this may indicate that individual inventors do not have many opportunities to monetize their patents and valuable patents may be “languishing” on the shelf, so to speak. And worse yet, technology covered by those patents may not be commercialized. This brings me to a second point. What does Google plan to do with this patented technology? The article also hints that Google acquired patents relevant to its business. Will it actually utilize the technology covered by the patents? Is it already using technology covered by the patents? I suppose it could just sit on the technology and not use it. Will it assert the patents against other operating companies? Notably, Google continues to accept submissions to consider patents—although not under the terms of the Program. Will Google reopen the Program? Google also has taught us that there are a lot of potentially valuable patents out there that could be successfully asserted against operating companies. Good to know? It doesn't seem like Google is widely publishing the results of the Program. The telecommunication industry is experiencing a new type of competition among firms deploying different industrial and knowledge-based business models within the same value chain. In relation to industry standards, this has created a conflict between market actors over the value of the SEPs that underpin the technical functions of these standards, in particular, between firms with strong SEP portfolios and those implementing standard-compliant products. This conflict has resulted in several recent cases before the courts and competition authorities. This presentation will discuss the value of SEPs within the context of the ongoing battle to define the meaning of the FRAND commitments and discuss the potential consequences on firm strategy, standardization, and economic efficiency. Mr. Heiden is the Deputy Director of the Center for Intellectual Property at Chalmers University of Technology. In addition he directs the incubation activities at the Sahlgrenska School of Innovation and Entrepreneurship. Previously he was Innovation Director for the Qatar Science & Technology Park, where he was responsible for driving innovation strategy and intellectual property policy. As deputy director of CIP Mr. Heiden currently manages the internationalization of the CIP platform and strategic partnerships, including the newly launched Intellectual Property Institute of Norway (IPiN), which was co-founded by CIP. We’ve already briefly covered news of the OECD’s Base Erosion and Profit Shifting project and how it will affect the various patent or knowledge box schemes to reduce tax for companies based on profits accrued from intellectual property. The final package was put to the G20 Finance Ministers on 8 October in Lima, Peru, and has been adopted. The wonderfully named "Countering Harmful Tax Practices More Effectively, Taking into Account Transparency and Substance: Action 5” which can be downloaded here contains the full meaty details of the OECD’s view. It’s a document that contains a lot of useful detail and this is a first post to explain thr broad thrust of the project. We’ll try and deal with some particular issues in separate posts over the next few weeks. The thrust of the project has been to align taxation with substantial (economic) activity and ensure that taxable proits are not “artifically shifted away from the countries where value is created" (see para 24). The report recognises that IP-intensive industries are a key driver of growth and employment and there is no intention to prevent countries from adapting tax incentive for research and dvelopment in their own countries. The report’s thrust is to define the outer limits of an IP regime that grants benefits to R&D, but does not have harmful effects on the collection of tax by other countries. The report examined various options and concluded that the so-called “modified nexus” approach was the best one to take. The tax benefits can be applied in countries to provide benefits to the income arising out of the intellectual poperty as long as there is a direct nexus or link between the income receiving the benefit and the expenditures contributing to that income. As the report explains, the purpose is to give the taxpaying company a tax reduction for the research and development work that the taxpaying company did itself - and not for R&D work done elsewhere. In other words, a patent or knowledge purchased in from elsewhere would not be entitled to the tax credit. The report also sets out in detail the concept of qualifying expenditure, which is entitled to the tax credit, and total expenditure which includes elements on which no tax credit can be obtained. Countries will be allowed to define qualifying expenditures as long as these are only related to R&D activities - it should not include interest payments, building costs, etc. Qualifying expenditures do not include payments to third parties to carry out R&D work. It is also clear that only patents and similar rights, such as software, will be entitled to the benfits. This will rule out some countries’ schemes that have extended the benefit to design rights, copyrights or trademarks but there may be openings for smaller companies to include further rights. The overall income that can benefit from the scheme must be derived from the IP asset itself, such as a royalty, capital gains or sale. It was the introduction of the UK’s scheme that triggered the OECD work, particularly as Germany had objected to the scheme. The report will allow the UK and other countries to continue with their schemes with some minor modifications, and the UK has now published proposals for modification of its scheme. We’ll be interested to see whether Germany does introduce a scheme.